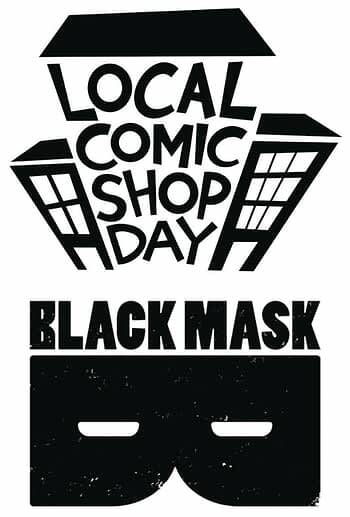 Local Comic Shop Day 2018 is coming. Saturday, November 17th, where participating comic book stores have special premium products to sell, often limited in nature. Bleeding Cool let you know that Image Comics is issuing a Gideon Falls hardcover for the day and a 500 copy foil version of Blackbird #1. That Dark Horse Comics have an exclusive cover of William Gibson’s Alien 3 – The Unproduced Screenplay. That DC Comics are doing a Liam Sharp Day with exclusive cover versions of The Brave And The Bold #1 and The Green Lantern #1. That Marvel Comics has a 500 copy limited edition version of Marvel Knights 20th #1, and an open order for a version of Uncanny X-Men #1. And that Titan Comics has a 14 cover set of Doctor Who: The Thirteenth Doctor #1. Black Mask Comics also has a couple of items for the day. We don’t have final visuals on them, but they have an exclusive hardcover version of CALEXIT Vol 1 and Space Riders Vol 2, for twenty-five bucks each. An ancient evil is gathering power throughout the cosmos, and it falls upon the legendary SPACE RIDERS to kick its a**! Having disbanded, the crew of CAPITAN PELIGRO, MONO, and YARA must reunite for what may be their final ride! The cult comic that electrified comic readers in the brain RETURNS to blast your fragile human psyche into oblivion! !